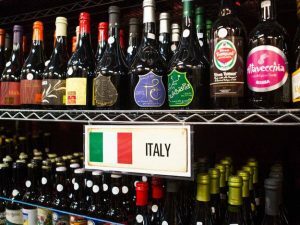 When you think of Italy, you often think of vines, grapes, and the delicious varieties of wines that this amazing country has to offer. But do you often think about the beer that it produces? Italy has a long tradition of brewing, and there are some fantastic beers out there such as Peroni and Moretti. The craft beer industry is still in its infancy, but the signs are promising with farmers and city dwellers alike taking up the challenge of producing quality brews. While there are no organised tours of the Peroni brewery, you can get a bottle of this delightful Roman Lager at any bar or cafeteria in Italy. It is one of the most popular brews in the country, and it is best served cold. It is crisp and refreshing on the palate, and goes well with cured meats and olives. Peroni also brews a Gran Riserva. Birra Moretti was originally produced in Udine, which is close to the Slovenian border. It was first brewed in 1859. The brand was acquired by Heineken in 1996, but it still retains its original slogan: “The beer with a moustache”. This is another delightful lager which is available all over Italy. It is dry, and quite carbonated. This hole in the wall brewery is generating a lot of interest in Italy. The brewers encourage anyone to drop in and try their beers, and even offer suggestions of what they could add to the flavour base. They are super friendly talented brewers. These guys ferment their beer in amphorae, which were used at the time of the Roman Empire to store wine or olive oil. They borrow from the British and Belgian styles, and produce some potent Porters an IPAs. Their signature is the Etrusca.